The most ambitious exhibition to date of work by Patricia Piccinini will open exclusively at the Gallery of Modern Art (GOMA) in March 2018, becoming GOMA’s largest ever solo exhibition by an Australian artist. 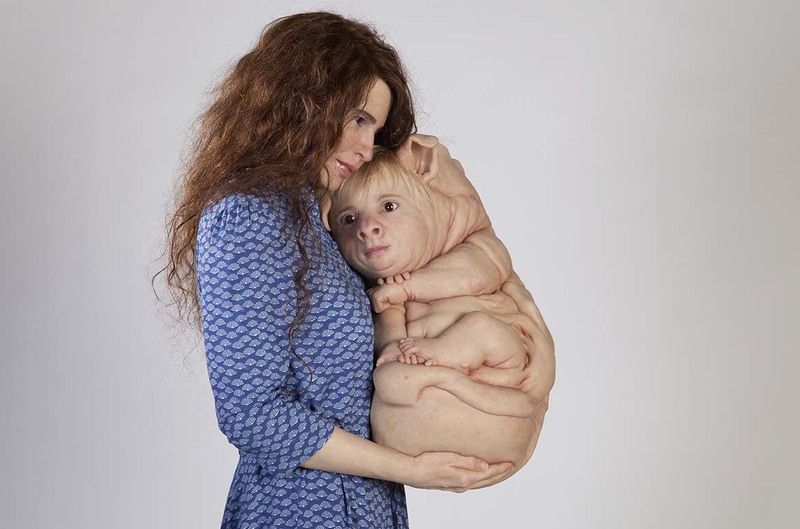 Featuring more than 50 new and recent works by the globally renowned artist, ‘Patricia Piccinini: Curious Affection‘ will include sculpture, photography, video, drawing and installation, as well as never-before-seen commissions including entirely immersive environments. 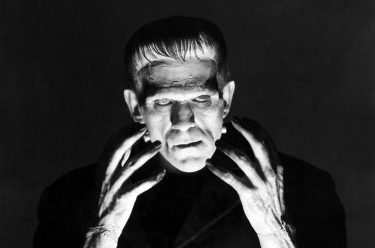 The exhibition also considers the challenging world of science and genetic engineering developments and nature, and how humanity will face its future. 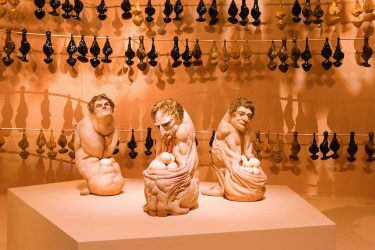 Piccinini is one of the most interesting Australian artists working today, exploring the interrelationship of humanity and the natural world, and the social and moral impact of scientific research, genetics and biotechnology on people, animals and our planet. Working with a skilled team of collaborators and computer technology, her art collapses the boundaries between reality and artifice to create captivating environments populated by strangely compelling, often hybridised, startlingly realistic sculptures, that are foreign and strange looking, yet seemingly familiar. The artworks will deliberately challenge conceptions about what it means to be human and the power of empathy. ‘Curious Affection‘ features some of Piccinini’s most recognisable life-like sculptures, among them The Bond 2016, a woman lovingly cradling an ambiguous creature. It will include a large-scale, newly commissioned inflatable sculpture suspended in GOMA’s atrium – a continuation of ideas the artist explored in the controversial hot air balloon work titled The Skywhale, a commission that marked the Centenary of Canberra in 2013. The exhibition will also feature a major new installation The Field, a landscape of some 3000 genetically modified flower sculptures that will draw visitors into a vast, multisensory environment. ‘Patricia Piccinini: Curious Affection‘ is exclusive to Brisbane at the Gallery of Modern Art (GOMA) from Saturday 24 March until Sunday 5 August 2018. 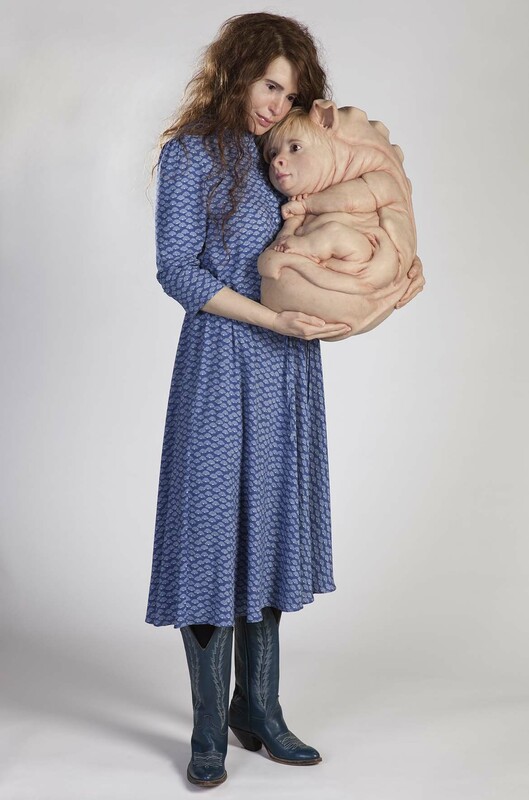 Patricia Piccinini presents a keynote address on Saturday of the opening weekend at 11.00am, followed by an In-conversation at 1.30pm and artist tour of the exhibition at 2.30pm. Tickets for ‘Curious Affection‘ are on sale now.